To Davy Jones Below by Carola Dunn. New York. Kensington Publishing Corp. 2003. First Paperback Edition. Good. Edgewear. Creases in spine, yellowing on inside cover. In 1926, as the Honorable Daisy Dalrymple and her new husband, Inspector Alec Fletcher of Scotland Yard, embark on a honeymoon voyage to America, the ship is plagued by a series of nasty accidents and bizarre deaths that leads them to suspect that there is a murderer on board. A Daisy Dalrymple Mystery Vol. 9. 254 pages. 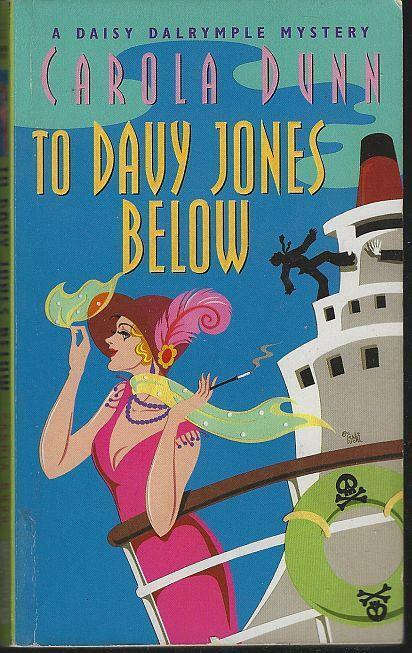 Items Similar To "To Davy Jones Below by Carola Dunn A Daisy Dalrymple Cozy Mystery..."